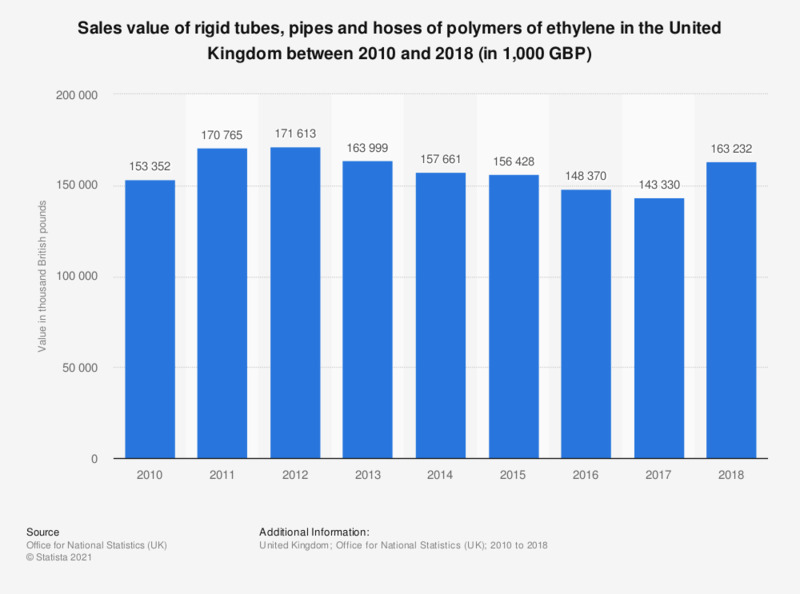 This statistic shows the sales value of rigid tubes, pipes and hoses of polymers of ethylene based on PRODCOM estimates** in the United Kingdom (UK) between 2010 and 2017. The UK experienced an increase in sales value over this period. The sales value peaked at 171.6 million British pounds in 2012. In 2017, the sales value reached 152.4 million British pounds.